Level up your gym or studio with the most exhilarating spin experience around! Why Does My Studio Need Spintertainment? Take your riders on a scenic journey through some of North America's most breathtaking mountain biking trails. 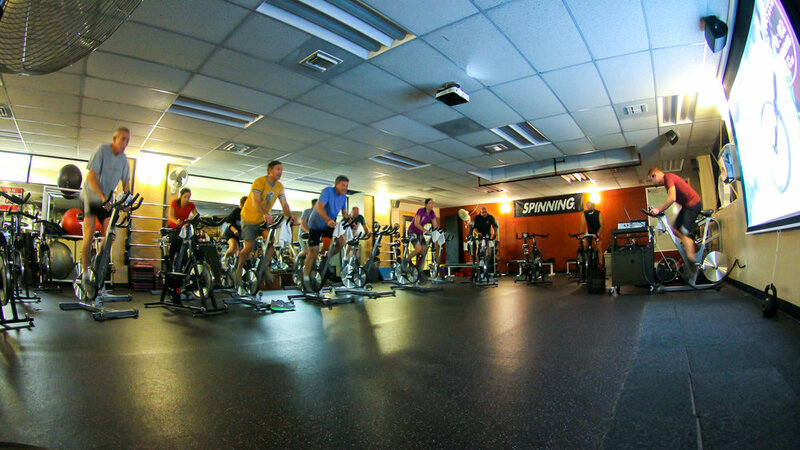 From the scenic mountain vista of Deer Valley, Utah to the sun-baked rocky crags of Sedona, Arizona, Spintertainment takes riders on an epic adventure while still giving them the comfort of an indoor gym and the motivational benefits of a studio class. 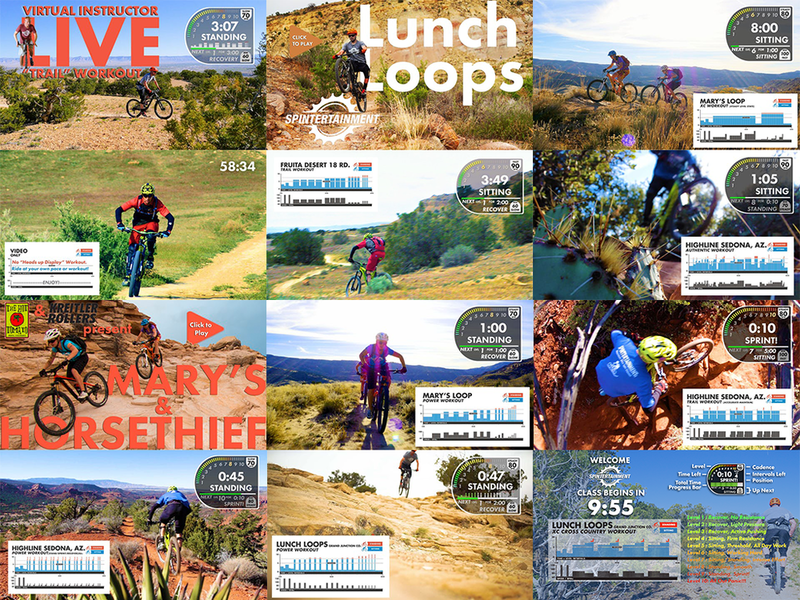 The Spintertainment commercial library currently includes over 2 dozen videos spanning four unique trails with many more on the way. There will always be enough content to keep your riders constantly engaged and coming back for more. The best spin class experience comes when you have an skilled instructor teaching class along side our videos; however, because each workout is built into the video itself, Spintertainment videos can be used to run a spin class even when no instructor is available. Additionally, our new series of Virtual Instructor videos feature skilled coaches riding alongside our workout providing guidance and motivation, allowing riders to get the benefits of an instructor with no work on your part! A custom built soundtrack composed specifically for Spintertainment allows riders to keep pace by pedaling along to the beat. This unique feature keeps riders motivated and excited, and helps them keep pace even on bikes without a cadence meter. Keeps participants engaged from the moment they arrive to the moment they leave. Our commercial series include video and a soundtrack that extend 10 minutes before and after an hour long class to help riders prepare for and understand the workout and keep them excited even as they finish up. Our enterprise rates vary depending on number of locations and individual customer needs. We want to work with you to build an enterprise plan which works for you, so please contact us. We recommend that your screen is big enough to be seen easily by anyone in the room. Most likely your studio’s existing sound system will work perfectly. Through the streaming service VHX we support high-speed streaming over the Web, Apple TV, Android TV, Roku, Amazon Fire TV and streaming + downloading on Android and ios. What bikes are the videos compatible with? Our videos are designed to work with any bike that supports manually adjustable resistance. We also have smart trainer integration through TrainerRoad and Wahoo Fitness. Do I need an instructor? How can my class follow along? An experienced instructor will always improve any class, but having one isn't needed. Workout instructions are built right into the video and easy to follow along with. Additionally, our new, and growing library of virtual instructor videos let your riders have a comparable experience to working out with a coach with zero effort from you! See our get the app page for answers to common questions on video playback.